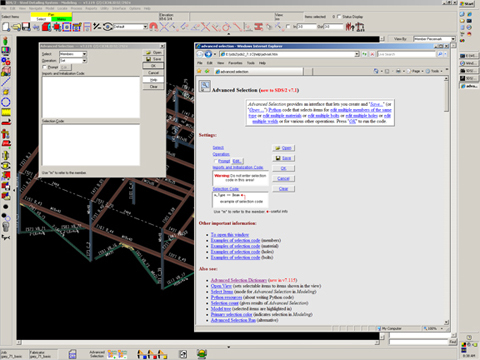 Advanced Selection provides an interface that allows users to create and save (or open) Python code that selects items for performing various options, including: edit multiple members of the same type; edit multiple materials; edit multiple bolts; or edit multiple welds. For example, use the Advanced Selection feature to select all angle material with 13/16-inch holes, and then output CNC for these angles. To begin, start from the Edit menu and press the Help button from the Advanced Selection dialog. 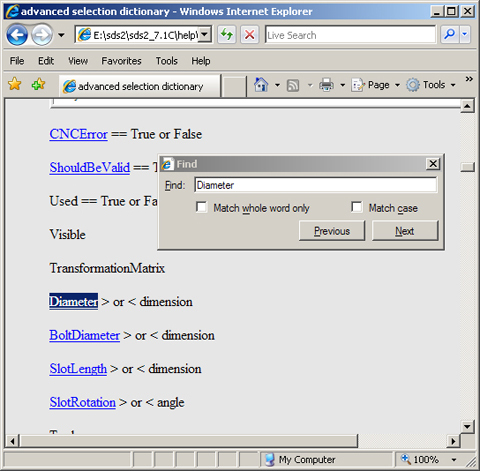 To search for attributes / variables for use in the selection, press Advanced Selection Dictionary. 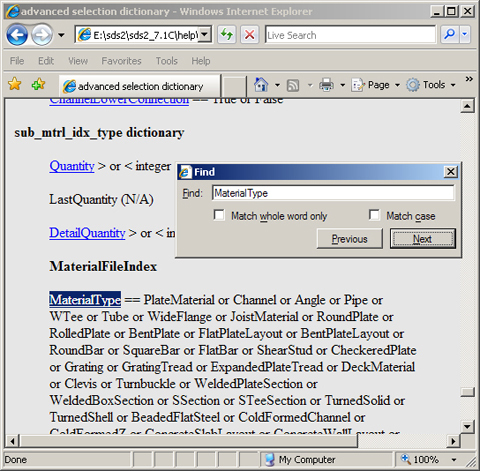 In the Advanced Selection dialog, choose Material in the Select field, then search the dictionary for Material Type. The search could also be for Angle or angle. 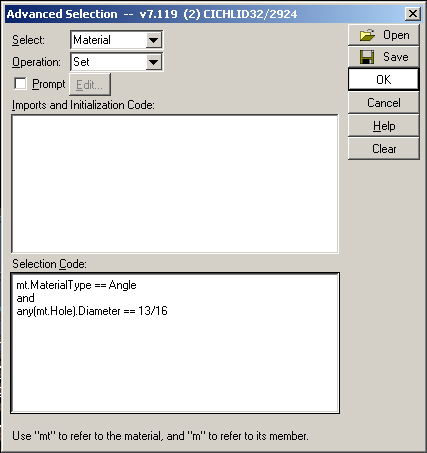 Now enter mt.MaterialType == Angle in the Selection Code text area. Next, search the dictionary for diameter until the diameter for holes is found. In the Selection Code text area, enter: and any(mt.Hole).Diameter ==13/16. Press OK and angles with 13/16 inch holes are now selected. With these angles selected, press the CNC robot icon to download the CNC output for these angles.